Gloria Ann Jeff-Moore is the friend I wish I had when beginning dialysis. Kidney disease and dialysis are frightening experiences. Patients are confronted with jargon and medical terms that are difficult to understand, and it is easy to panic with the changes taking place in your own body. Thankfully there are people like Gloria who help explain it all so we can benefit from the wisdom of her experience. Gloria Ann Jeff-Moore has written two books. The first one is My Renal Life, and the second one is My Twenty Year Journey with PKD in the Dialysis World. In these books Gloria tells her story, explains the basics of renal care and gives dialysis-friendly recipes straight from her kitchen. Gloria’s warm and personable style makes her books very accessible and easy for the reader to relate to. Many of us who have survived what seems to be one crisis after another will understand Gloria’s story. To say that Gloria is a rugged survivor is an understatement. She’s survived polycystic kidney disease, hemodialysis, peritoneal dialysis, a transplant, a stroke, congestive heart failure, 4 bleeding ulcers, a blood clot and a burst AV fistula graft. Like Gloria, many kidney patients have major complications that arise simply because they’re compromised by kidney disease. However, it is often the case, that proper preventive care is not given because the physician does not recognize the urgency of the case. 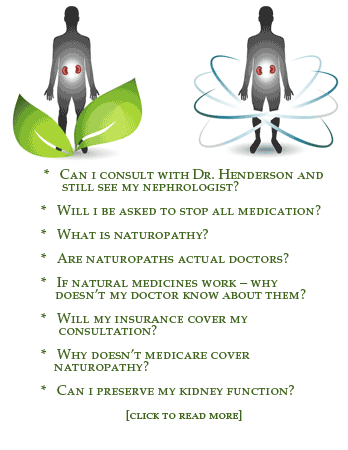 How do you convey your situation to your doctor and find answers to your questions? How do you keep up with all the pills you have to take? How do you deal with depression and those times when you’re so swollen with edema you don’t even want to leave the house? Can I get away with cheating just a little with my diet? Reading Gloria’s books reminds us that we’re not alone in dealing with these problems. Gloria’s ability to stay positive through so many ordeals is admirable. It would be easy to be bitter after life deals such a challenging hand. What struck me most about her work is the upbeat tone. Life after dialysis can be very good, and her recipes are proof that she can turn a situation like that into a creative opportunity. With all the dietary restrictions of dialysis, it is easy to just eat the same safe foods over and over again. Gloria’s recipes keep your diet interesting and add variety. I particularly liked the Creole dishes: Cajun fillet of sole, shrimp jambalaya, seafood gumbo and On the Bayou dirty rice. It’s easy to forget you’re cooking for a serious illness; it feels more like watching Paula Deen, or Down Home with the Neelys. As a naturopathic doctor, however, there are some modifications in the recipes that I would prefer. When using sausage, read the labels. There’s a wide range of sodium content in various products. I use Shelton’s brand turkey Italian sausage with 9% of the RDA of sodium. Also, I would not recommend any sugar substitutes except stevia. In any recipe that calls for Splenda, just use stevia. As a general rule, foods in their natural state are better than synthetic. I won’t elaborate here, but instead of non-dairy creamer, I’d use cream. I’d use actual eggs instead of egg substitutes, and butter instead of margarine. A little saturated fat should be in the diet, and sugars can just as easily be the culprit, driving up cholesterol. Overall, I really like these books. Gloria’s writing style is somewhat more developed in her second book, which also gives more detail. I do think that the books could have been better edited. However, there are plenty of professional writers who express themselves eloquently, but don’t have much to say. I would much prefer to have an honest, straightforward dialysis patient like Gloria tell her story. My Renal Life and My Twenty Year Journey with PKD in the Dialysis World are good reads that every kidney patient should have on their bookshelves. My Renal Life and My Twenty Year Journey With PKD In The Dialysis World are available at www bookstore.xlibris.com., amazon or Barnes and Noble.